Traumatic bed bugs: years ago a friend was house-sitting for us and she has the unlucky superpower of being super-sensitive to bed bug bites – massive allergic reaction. We (in 2009) were sceptical at first having never knowingly come across these, and that we didn’t have any such reaction – however once we started looking we found all the evidence – blood spotting on the sheets, mattress and furniture near the bed, shed skins and little white eggs in the joins of the wooden bed frame and nearby wooden bookshelf – and laid there as test bait with a torch at the ready and saw them crawling on us. 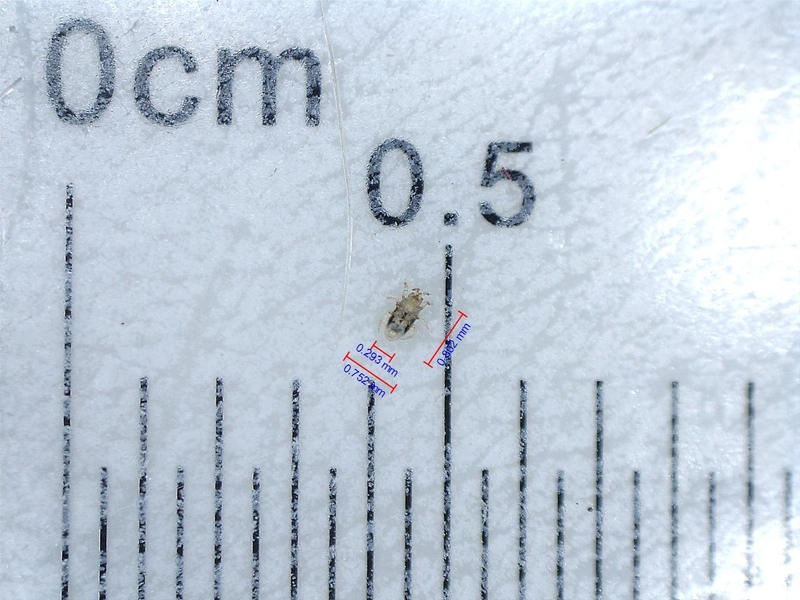 Well we learnt a few lessons in dealing with this issue over the next few months – the biggest help was the ‘Code of Practice For the Control of Bed Bug Infestations in Australia‘ by Stephen Doggett of the Department of Medical Entomology at Westmead Hospital in Sydney. So returning to late 2015, we were cautiously aware that unlike this previous experience and later encounters with ‘chinches’ while travelling in Latin America in 2013 that our current allergic reaction suggested something different. Nevertheless we isolated all sheets and clothing in the bed room, bagging these up and systematically hot washed and freezing these while we looked for BB evidence (bloodspots, eggs, cascas, certain sweet smell) – nothing; and this was a relief. But we still didn’t know what this issue was – and it’s not much fun to be covered in painfully itchy bites! To cut the ramble short – there were two possibilities that we saw as being plausible: bird mites or rate mites. We had heard scurrying in the roof above our bed recently, and we had noticed a lot of birds around. Our landlord came around and found bird droppings in the roof cavity and some small holes in the ceiling tiles. A tiny thing (it was fun playing entomologist)! And it really did match up to the profile of either a rat mite or bird mite. Doing a bit of investigation, I found an empty nest in a cluster of branches of an overgrown vine-extending tree which had over the past few months grown to extend brushing up against the mesh screen of our bedroom window and which had also pushed their way into the roof eaves above our bedroom. Well I did some severe pruning to this tree, and a pest inspector sent by the landlord also suggested he thought bird mites were the likely source of the bites and he sprayed some pyrethrum in the guttering (a step I wasn’t sure about as I thought this might send things scurrying into our house! But he was the expert so we went with it). It is now a couple of months later and things seem fine, so the idea of bird mites having a last ditech attempt at a meal after their little bird hosts had skipped the nest seems like the likely explanation for the bites and the allergic reaction I had. So here is a little song and video, the latter featuring some microscope footage from the Digitech 5MP USB microscope camera of our bird mite! Quick little mash up video using some old footage I had lying around (see fox-faced dancing animal in the Ghostlight video), Resolume, the bird mite microscope vid, and a webcam shot of some paper with ‘dear Adversaire’ written on it. Previous PostLatex to ExcelNext PostAh, so desu ne….